Mr. Frank Montie is the Chairman of the Warrior Protection and Readiness Coalition and serves as Vice-President of Brookwood Companies Inc., (Brookwood), an integrated textile company that provides a wide range of technically oriented military, tactical, medical, industrial and performance fabrics. The company is known for its focus on technical textile research and development and its commitment to U.S. manufacturing. At Brookwood Mr. Montie leads the design, development, production and engineering of advanced textiles and materials. An acknowledged industry expert, Mr. Montie has been called upon throughout his career to successfully resolve technical issues that face the U.S. industrial base. Justin Mayer is the Global Market Development Leader with DowDupont and serves as the Secretary of the WPRC. Prior to DuPont, he graduated from the Naval Academy and served in the Marine Corps as a CH-46 and MV-22 Osprey pilot. Following his final deployment in Afghanistan he attended UVA’s Darden School of Business, and started with DuPont in 2013. Justin believes passionately in protecting our military, and is honored to be a part of the Nomex® and Kevlar® team. After graduating from the University of Delaware with a BS in Business Administration in 1982, Mr. Vavala joined Sony Corporation of America where he held various sales and marketing positions in the consumer products division. In 1988 he joined W. L. Gore & Associates Inc. a science and technology driven enterprise headquartered in Newark, Delaware. Mr. Vavala is currently the Director of Military Government Relations at W. L. Gore & Associates. He is a Director and Treasurer of the Warrior Protection & Readiness Coalition and is the former Chair of the NCTO Government Textile Committee. He resides with his wife of 35 years, Margaret, in Wilmington, Delaware. 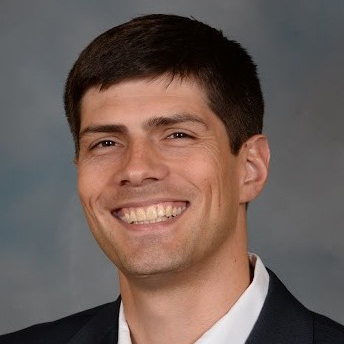 Chris joined Revision as CTO in January, 2018 after many years of capability development in the US Department of Defense, primarily with the US Special Operations Command (USSOCOM). 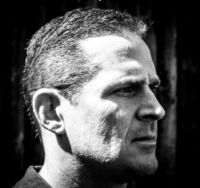 His previous roles include Acquisitions Program Manager (PM) at the Naval Special Warfare Development Group, establishing and leading the SOF Survival and Equipment Systems (SSES) PM shop for USSOCOM, and has most recently been the Survival Portfolio Lead for the Naval Special Warfare Command (NSWC). Chris has worked significant programs for PEO-Soldier, PM-Marine, PM-Raids/Recon at MARCORSYSCOM and at the US Army Infantry School. Chris attained a PhD in Sensory-Motor Control while on DoD Scholarship and has significant research and publications in human systems research and integration, wearable electronics, military performance/injury, and the consequence of equipment and technology on Shoot and Move Dynamics for SOF Operators. Chris has been a research scientist within the DoD, has run Human Systems Integration and Performance portfolios, maintains an active Adjunct Professorship at the University of Massachusetts-Amherst in the Kinesiology Department, and is Chair for the Center for Personalized Health Monitoring (CPHM) Industry Board at UMass. Chris holds Level III DAWIA certifications in Program Management, Systems Planning, Research, Development, and Engineering and has extensive training and experience in DoD Acquisition Law. 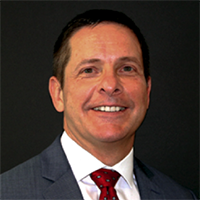 Bruce LaFlam serves as Vice President of Sales and Marketing for Milliken’s Military and Performance Fabrics Business. Milliken and Company has been a leader in innovation for over 150 years and operates three global divisions: Performance and Protective Textiles, Chemicals, and Floor Covering. Mr. LaFlam holds a BS degree in Business Administration from The Citadel and an MS degree in Textile Technology from the Institute of Textile Technology. 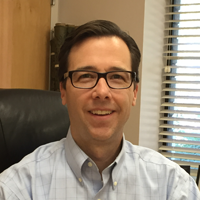 He has served in various leadership roles serving the military market space since 2003. Mr. LaFlam lives in SC with his wife Susan and has two sons Josh and Andrew who attend the US Naval Academy and Army West Point. 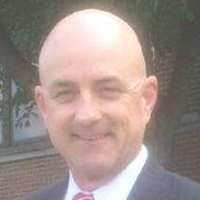 Kevin Hickey is a seasoned business executive with more than 30 years of experience in the Defense, Public Safety, and Outdoor industries, with particular focus on personal protection products. Kevin began his career in 1988 with the Fabrics division of WL Gore & Associates, where for more than two decades he contributed to the company’s growth and market dominance in a variety of sales, marketing, business development, and leadership roles, both in North America and internationally. Kevin played a pivotal role in the US Military’s adoption of Gen 2 ECWCS, Gen 3 ECWCS, and waterproof combat boots. In 2010, Kevin joined ADS, Inc., the defense industry’s leading provider of Soldier equipment. From 2010 to 2013, he served as the Vice President of Product Management. 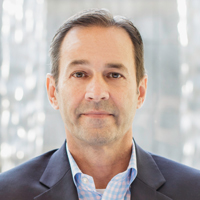 In 2013, he took on his current role managing and directing ADS’ engagement with Congress, Executive Branch leadership, and industry associations. A registered Federal lobbyist, Kevin is deeply engaged in addressing issues that affect warfighters and the companies that serve them. Kevin has been involved with the WPRC since its inception and is strongly committed to maximizing the Association’s presence in DC and growing its influence in support of warfighter needs.